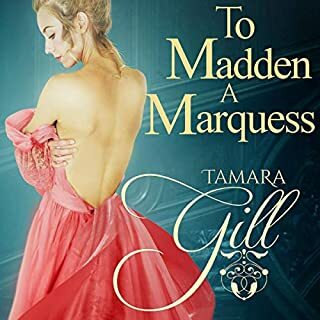 I liked Tamara Gill's first Lords of London story, but this one is even better. I have read quite a few romances and none had ventured into the waters of excess drink, games and idleness quite so profoundly. Cecilia truly has her work cut out for her. Their Graces Duke and Duchess DeFoix are doing a great job bringing all the characters to life. Big kudos! I was given this free review copy audiobook at my request and have voluntarily left this review. Thank you, Duchess! 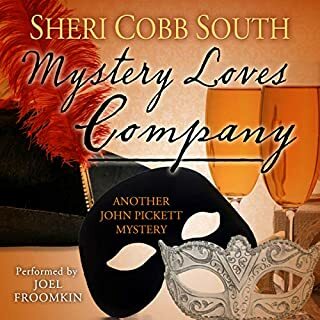 I love Sheri Cobb Souths regency mysteries, so I definitely wasn't going to pass on one of her romances. It was a story that can't happen anymore in this day and age, what with our IDs and all-mighty search engines. When you can't google who the Duke should be, and he doesn't remember himself, all kinds of aspirations rise up. It's probably not best to make self-assured statements of how things will pan out, dear Margaret :) Poor gal had to go through several mental adjustments to get to the happy ending. It was a very pleasurable listen. Kudos, Stevie Zimmerman. Running from her past, Elle developed a strong drive. Her mantra: executive by 30. She landed the job and celebrated her long-awaited success. Until she left the office late one night. When she stepped from the elevator, her life changed. Three cloaked figures waited. This is a neat Book 1 in a series. 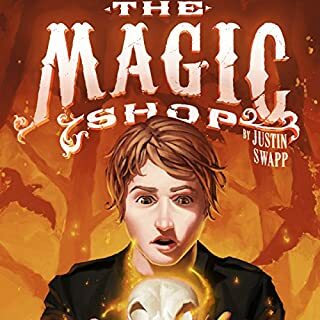 There isn't that much happening, but the authoress sets the stage for a very interesting plot, does a lot of world-building and uses the whole book to get you to care about Elle and Yster. Well, it worked on me! I now want to read the next book. This story is absolutely delightful. 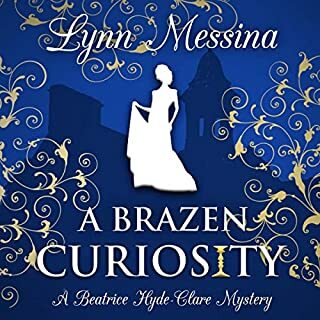 The mystery isn't too complicated, the regency setting is well researched (I appreciate nice historic details) and characters are distinctive and funny. I especially like how the investigation changed Beatrice. Jill Smith was a wonderful choice to read this book. Her narration is flawless. Great listen. I was given this free review copy audiobook at my request and have voluntarily left this review. Thank you, Lynn! 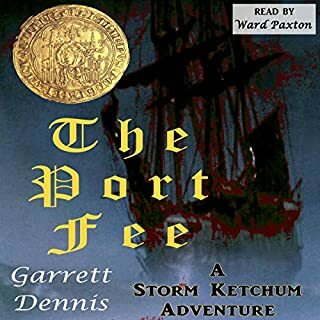 Underwater, everybody can hear you scream, but they can't tell where you are.... Ketch is at it again in the magical Outer Banks of North Carolina, in this new adventure from the author of Port Starbird and Port of Refuge. It's a picture-perfect summer afternoon on a pristine beach near a ghost seaport on an uninhabited island. What could go wrong? But things do, when two bodies wash ashore and Ketch stumbles upon clues that lead to the sunken treasure of an old-time buccaneer off Portsmouth Island. I listened to The Port Fee out of order, and it would have definitely helped to listen to the previous books before. It was an enjoyable mystery anyway. I especially liked the mysterious lady talking with the kids. 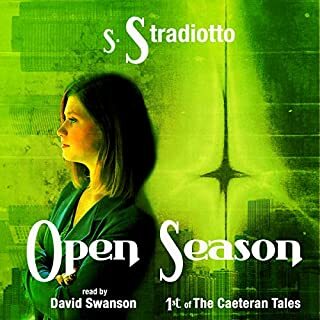 Ketch is a likeable character and Ward Paxton is a great narrator, so I can see myself getting hold of the other books too. Gotta Google Earth Outer Banks now. It seems like a lovely place. More intense than I expected. Aaaargh, Marcus is so hot-headed I want to poke him sometimes! He blunders into things willy-nilly...but it does move the plot and raises the stakes a lot. This book surprised me by how thrilling the action was. Almost made me worried :) Also, Steve Barnes is incredible. He's basically a full cast by himself. Heartache dogs the steps of Sorcha of Ui Neill. Although she is home with her family, she is unable to shake the memories of her time in Hy-brasil. She heals with a heavy heart, tells stories with melancholy words, and cannot forget the magic of the Otherworld. When an opportunity arises to return to her beloved Fae Prince, she makes a questionable deal. 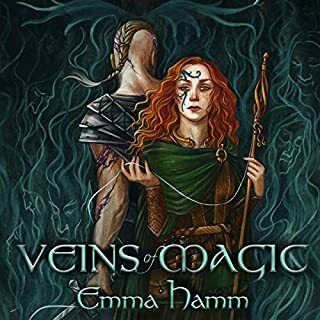 Dark magic, druidic curses, and a witch open a portal and send her tumbling into the middle of a war she must end for the sake of all who dwell in the Otherworld. Absolutely best read of the Summer! Don't trust those blurbs that tell you this is like Beauty and the Beast meets Irish mythology. This story is SO much more. It started similar enough in the first book, but now it bloomed into a very rich and enchanting tale. I'm so glad I could listen to it. And it's still not the end, which is great, because Emma got me invested in many characters besides the hero and heroine, and I want to know their stories as well. Great book. It broke my heart, then mended it and satisfied (some of) my curiosity. Siobhan is an awesome narrator and fits this book perfectly.